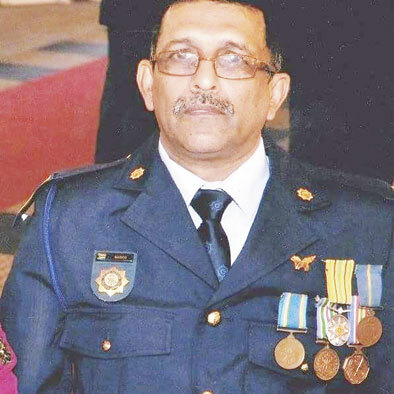 Serving the community with pride and dedication, Warrant Officer Ramachandra Naidoo recently completed his 40 years of faithful and long service at SAPS Phoenix. Since joining the police force on 6 February 1979, W/O Naidoo has received numerous awards including 10 years, 20 years and 30 years of loyal service, boarder duties, soccer world cup, a presidential medal, and 75th anniversary of the police force medal amongst other accolades. Some of his career highlights include working at the uMlazi cluster during the first democratic elections in 1994, attending numerous complaints in the Phoenix area with less resources and manpower in the 90’s and having worked for 48 hours non-stop during the hijacking of the Air Mauritius aircraft which landed at the Durban International Airport in the 80s, a few arrests were made. W/O Naidoo recalled an experience that will be embedded in his memory forever when he was held at gunpoint while working. “In year 2000, I was held up at gun-point in the Phoenix Court along with my colleagues. We were held up by four armed robbers who released cash-in-transit prisoners and removed firearms from officers. Three months later, the same robbers were arrested in Orange Farm and sentenced to 10 years imprisonment,” said Naidoo. In 2002, W/O Naidoo was the first police officer to be delegated as a prosecutor by former NPA boss, Shamila Batohi. Naidoo will be retiring officially from SAPS in May 2020 with over 40 years of service to the community and no criminal records or charges against him. “I would like to take this opportunity to thank my wife and family for supporting me throughout my career, not forgetting my commanders and colleagues whom I’ve worked with over the years. However, I feel disappointed on not being promoted for the past 20 years,” said Naidoo. He advised his colleagues to continue doing their work honestly and diligently. “Whatever you are tasked to do, do it to the best of your ability, always remember that you are here to serve the community and not merely to earn a salary. You must also study to further your career in the police service,” added Naidoo.